Proposing on Christmas or V-Day may be romantic, but you're also looking at peak prices on engagement rings. Shop during these times instead. Love is in the air, and you've finally decided to pop the question to that special someone who holds the key to your heart. Take a moment to plan when you should buy the ring. By waiting until the right time, you could minimize the sticker shock that comes with such a large purchase. Since sales are down in summer months, this is the best time of the year to snag a deal on the best engagement ring. Keep in mind the peak period for buying engagement rings (when you’re more likely to have to pay full price) is between Thanksgiving and Valentine’s Day. 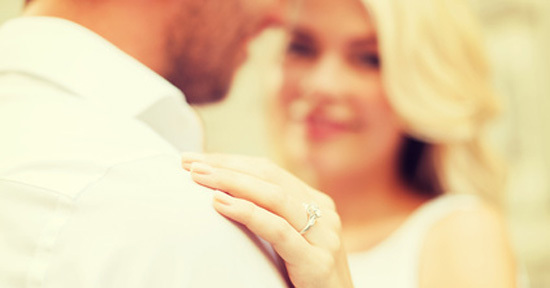 This is when approximately 39 percent of proposals take place, according to The Knot Magazine. Go Only After You’ve Done Your Homework. You wouldn’t buy a car without doing your homework first, so don’t skip this pertinent step when shopping for the perfect ring. On average, engagement rings go for around $5,000 a pop, TheKnot.com adds, so you’ll definitely want to get the biggest bang for your buck. The four Cs, which are color, clarity, carat and cut, are worth understanding before commencing the search process because they’ll determine both the appearance and price point of the rings you’ll be examining. Another tip: it’s not always necessary to go with the highest quality diamond on the market. Stones that are lasered to remove imperfections can save you up to 30 percent, Antoinette Matlins, author of Engagement & Wedding Rings: The Definitive Buying Guide for People in Love, told MarketWatch. And less popular cuts, such as ovals and hearts, could also slash the price in half. Only fools rush into love. Be smart about this purchase by putting a spending limit on it (your significant other will thank you for this, considering she’s going to eventually take on whatever you debt you have). What are your financial goals as a team? Has your partner firmly expressed the desire to head into the union debt-free? These factors will play a large role in the amount of funds allocated to the ring budget. Maybe you’re crunched for cash? That shouldn’t necessarily delay your proposal to your significant other. You could look into getting a credit card that has an introductory 0% APR rate for a year (or even more) and use it solely for this purchase (just be sure you can pay off the ring by time the intro period ends or you will have to pay a high interest rate). But also be realistic about what you can afford in the long run. You don’t have to buy the shiniest, most expensive object. Unless you plan to propose in the next week or so, don’t rush to make a selection. There are plenty of options out there for you to choose from. Don’t let a shrewd sales representative force you into selecting a ring that does not suit your budgetary needs or mesh with your partner’s taste. Instead, visit a few stores to get a glimpse of what’s out there before narrowing down your options. You could luck up and get a steal on a charming ring at a bargain. But before you seal the deal, express your desire to have an independent appraisal done to confirm the quality. If the seller is hesitant or denies your request, move on. The larger chain stores always seem to have an irresistible sale going on, but beware before latching on to the bait. What they usually do is inflate the price, and then apply the discount to get it back down to the retail value. And if you insist on buying at a major chain store, peruse the second-hand section for deals on gently used engagement rings. Another tip: don’t fall for the exclusive lines of diamonds available at select retailers, like Tiffany & Co. and Kay Jewelers, because it’s the name you’re paying for, and not necessarily the quality. “They may charge a price premium of 10% for the marketing and the experience. 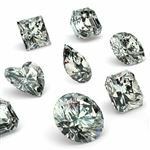 But although the stones are often high-quality, the added price doesn't necessarily translate to added quality,” Mark Rapaport of the diamond-trading network, The Rapaport Group, told Marketwatch. You may also want to consider online jewelers and factory stores, where you could have more leeway in designing your ring. Does your sweetie have unique taste? Perhaps you can get away with some other stone, such as a ruby or sapphire, and drastically reduce your out-of-pocket cost. (If Prince William got away with it, so can you). You don’t have to always buy the stone and setting from the same place. In fact, it may be cheaper to shop around and go with separate retailers. Unless your partner insists on a particular carat size, explore your options. 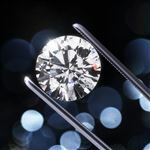 "Buy diamonds that weigh just under a certain weight," Anja Winikka of TheKnot.com told Fox Business. "Between a 1.9-carat and 2-carat ring, the difference can be as much as $5,000. You can get around the price and honestly no one can tell the difference." As with most big-ticket items, the price is rarely set in stone, so to speak. And when demand is low, you could knock off some serious dollars. Be sure to retrieve the GIA report. This document will guarantee the 4Cs and other unique features of the diamond. Another important note: internal certifications are practically worthless, so go with the professional appraisal instead. 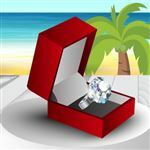 Share on Facebook "Best Time to Buy Engagement Ring"